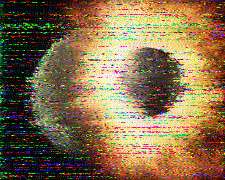 There was also a MFSK32 image at the end of the broadcast. MFSK32 is used regularly on VOA Radiogram and MFSK64 and MFSK128 are faster modes that have been used less often. But the 8PSK125F and 8PSK250F modes were new to VOA Radiogram. 8PSK250F is over five times as fast as MFSK32. As I mentioned in a previous article, I submitted a reception report last week to The Mighty KBC. The Mighty KBC is a Dutch shortwave station with transmitters in Germany that broadcasts to Europe during the week, and also to North America and South America every Saturday. 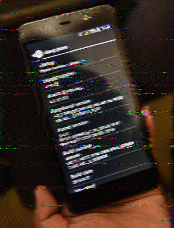 VOA Radiogram program 102 was the first this year to fall completely after Daylight Saving Time, so all my local times were one hour later than before. There were four articles this week, with the final (very brief) article using Flmsg to display as a web page. Kim Andrew Elliott described VOA Radiogram Program 101 as a “very experimental edition” of VOA Radiogram. One experiment consisted of sending multiple RSID signals (used to identify the decoding mode) as a means to determine if recording volume levels are correctly set. The other involved broadcasting one story, not as plain text, but as a web page.